WordPress community is so big that you can find a theme for any type of website you want to build: fashion website, gadget blog, wedding website, etc. In most topics you will find so many specific themes that it will be very hard for you to decide. 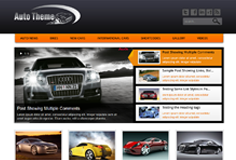 If you want to build an auto website ( cars, races, etc ), I have the best option for you: Auto theme from Theme Desk. 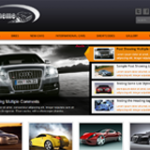 If you want to blog about cars, or you are a car dealer and want to make a website to promote the cars you are selling, or if you want to build a website for a car renting company, this theme is perfect for you. In the first part of the theme there is a slider where you can feature some cars. The summary of the posts with a small thumbnail is present in the right side, and a bigger image in the left. In the secont part of the theme there is a car grid listing with only image and a title. In the last part there is an area where you can feature some of the latest post where some more content is shown from each post. 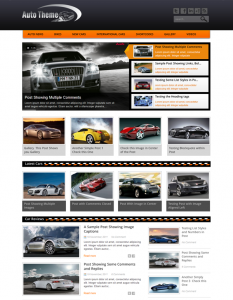 The design is great for any auto related website, because the orange in the menu and in the slider is the perfect color for the mechanical environment. All the details are well worked and the fonts are right. You can get the Auto Theme from Theme Desk.